Brexit, migrations, national budgets, next year European elections and the threats of populist movements are the key issues which the last European Council has dealt with. 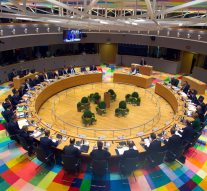 Following the informal discussion in Salzburg, the European Council highlighted in Brussels the importance of further preventing illegal migration and of strengthening cooperation with countries of origin and transit, particularly in North Africa, as part of a broader partnership. The European Council invited the European Parliament and the Council to examine the recent Commission proposals on the Return Directive, the Asylum Agency and the European Border and Coast Guard, ensuring the most efficient use of resources and developing common minimum standards of external border surveillance, with due respect for the responsibility of the Member States. To this end the European Council considered that EU-Africa relations are of paramount importance in a rapidly changing global landscape: the cooperation with Africa should be taken to a new level, underpinned by the necessary resources, including through the European External Investment Plan and the EU Trust Fund for Africa. The European Council also welcomed the presentation of the Commission’s initiative for a new Africa-Europe Alliance for Sustainable Investment and Jobs and calls for actions to be taken forward, including through concrete proposals for Member States’ involvement. Thus it could be highlighted that the EU is seeking a wide ranging approach towards the migration issue, that should be dealt with solving the root causes of the phenomenon investing in Africa. The European Union countries who refuse to host refugees could instead pay more for EU migration and development projects in Africa, head of the European Parliament Antonio Tajani said on the 18th of October. “No relocation – [then] more money for Africa”, EP president Tajani told a news conference in Brussels. “This should be a good compromise. It’s better to have an agreement with a compromise than no agreement”. Another key issue during the two days meeting in Brussels was Brexit. British Prime Minister Theresa May said at a Brexit summit she will consider an extension of several months to the proposed transition period, which currently stands at 21 months. Agreement on such an extension could help break the deadlock on the talks. Eu Commission’s President Jean Claude Juncker said Thursday “this prolongation of the transition period will probably happen. It’s a good idea”. He added that “this is giving us some room to prepare the future relations in the best way possible”. It seems that Eu leaders are preparing to back Theresa May in building a “coalition of the reasonable” in the UK parliament, in a desperate bid to avoid a no-deal Brexit. German Chancellor, Angela Merkel, stressed that the EU had to pursue “all avenues” to find a deal that can get through the Commons. “I think where there is a will there is a way”, she said. Donald Tusk, the European Council president, also said that EU leaders would wave through any request by the UK for an extension of the 21-month transition period. “If the UK decided that an extension of the transition period would be helpful to reach a deal, I am sure that the leaders would be ready to consider it positively,” Tusk said. The one of the Brexit is a critical issue also for many European citizens and workers whose lives are directly affected by this negotiation that will regulate future relations with London. In the end the ongoing confrontation between the anti-establishment government in Italy and the European Commission: the clash has intensified over the few last weeks, with Rome insisting on increasing its spending next year, despite the EU’s disapproval. On 18th of October, the Brussels-based institution sent a letter to the Italian finance minister, Giovanni Tria, warning him that the 2019 budget draft seemed to point to a “particularly serious non-compliance with the budgetary policy obligations laid down” in European rules. Italy’s Prime Minister Giuseppe Conte defended the country’s budget as “beautiful”, forgetting to explain that it should be useful for its citizens who has to be sure that the billions euro envisaged in this expense plan will be an instrument to create jobs and stability. « Previous Article Another Council's Summit: What’s New in Brexit?